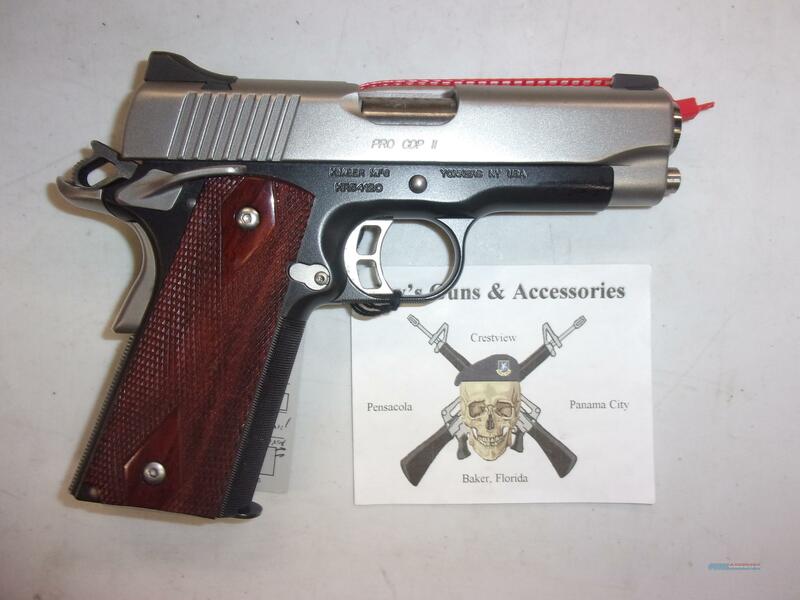 Description: This used Kimber Pro CDP II is a semi-automatic pistol which fires the .45 ACP round. It has a 4" barrel and two tone finish. This includes 1 magazine, night sights, hardcase and manual. This pistol has been fired approximately 40 rounds.